Choose one. Lafiel or Philia. Which one did you took with Sylvia's Delegation? I'm torn between choosing a girl who uses a literal clock as a weapon and a bootleg Silica (SAO character). Which one did any of you took? I've already got Lafiel from a garapon ticket, so I plan to use my delegation reward to get Philia. I got Philia from Gara, so I took Lafiel. I'd take Philia over Lafiel because my pretuned handhelds/accs are mainly FLY and TEC. There's something about Lafiel that makes me mad. Maybe she's literally to cool for me? Idk. IIRC the melee girl has a great BS. Silic... I mean Philia. Because I can't play melee robot (lol). 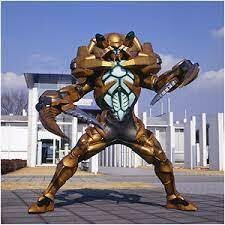 But I have to try my last 5x on Mega Gara. If I got Philia I may still GET free Philia... unless it's give me 2 Philia XD. I think I'll take Philia because melee is boring. Thanks, people. Literally the same, some may prefer one more tec over one more tgh, or not. Also reminder that she does no time related attack. Well, I originally wasn't interested in getting either of them. However, since I'm very close to getting the Delegation, might as well get one. I'm not getting Philia. For these reasons. 1. Melee-oriented Artillery. I hate those, since Artillery Robots are weak to Melee, and she uses a sword. Not a good idea. Same reason I dislike Homura Isamine, Sledge Heim, and Miruru Miu. 2. Stupid Dragon that looks more like a Winged Yoshi. 3. Waste Booster-focused. Don't really find that useful when I have Nicole and Persenachia. 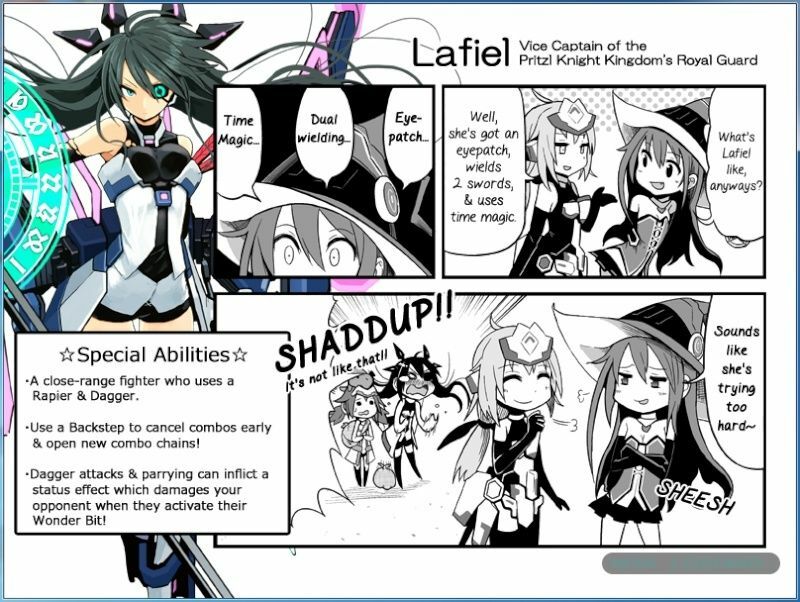 Lafiel seems better to me, since she's like Sigma Clock Girl, and she can damage robots once they activate their wonder bits (useful for taking on Mialy, Lucca Decho, Misty Raven, etc). What melee? 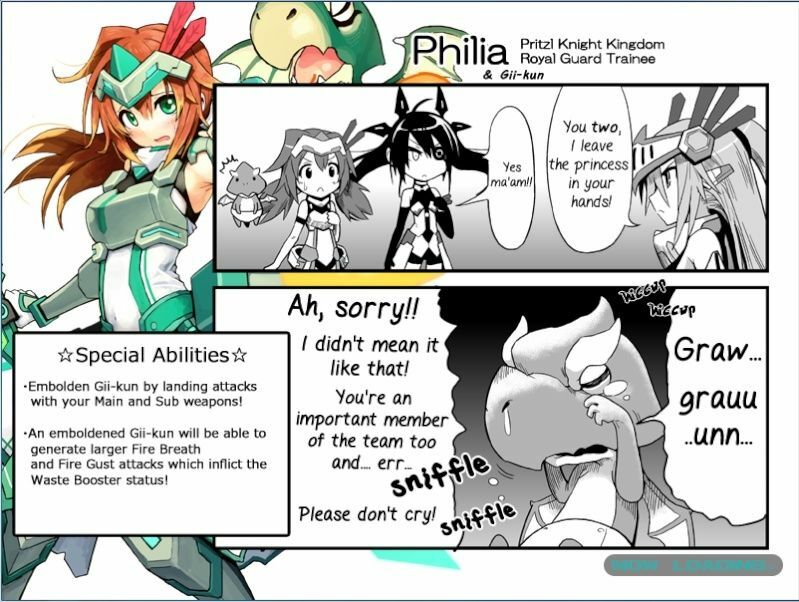 Philia shoots, there's no melee attacks on her. she slashes around her and the slash itself can hit people, but it's mainly used to detonate the marks. 25 force melee is enough for me to not get it. The only thing in that list that's melee oriented is sledge. Homura's Wonderbit and Miruru's slash are antimelee to keep melee away from them. Nor does Filia have any sort of melee. Subject: Re: Choose one. Lafiel or Philia.